In a joint seminar between Garden Court Chambers and Deighton Pierce Glynn, the speakers will provide a practical guide to obtaining release from detention and stopping the expulsion of EEA nationals from the UK. This seminar provides knowledge and understanding of the core rights and procedural protections EEA nationals get from EU law and UK administrative law. It is an essential guide for all advisors, support groups, caseworkers and lawyers who work with EU citizens, especially to obtain release from detention and to stop removal or deportation from the UK. We have produced a document compiling relevant legislation, policy guidance and case law which you may find useful to look over before the seminar. Please click here to view the document. Zubier Yazdani, Partner at Deighton Pierce Glynn, will introduce the seminar. 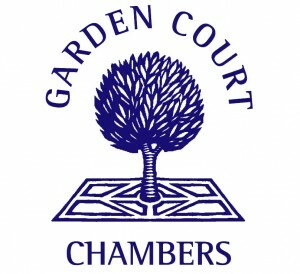 Adrian Berry, Barrister at Garden Court Chambers. Adrian's practice spans a range of inter-related areas concerning migration, human rights and protection. He has particular expertise in EU and nationality law, EU-related housing cases and cases which raise eligibility issues for migrants. Leonie has a broad-based public law and human rights practice. She has particular expertise in public law immigration cases, particularly immigration detention, EEA cases, trafficking claims, and cases involving loss of mental capacity. This event is free to attend and booking is essential. To reserve a place, please email rsvp@gclaw.co.uk by Wednesday 13 April. Registration on the day of the event will open at 17:00.